Ah, the 80s. So many bad choices. 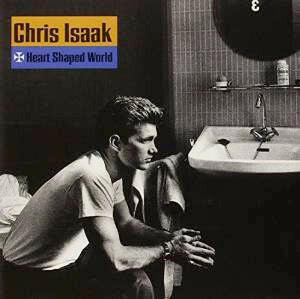 But Chris Isaak and his amazing album Heart Shaped World is not one of them. This album, and everything else Chris Isaak ever recorded along with the work of a few other artists, forms the soundtrack to an amazing time of my life. I drove to California to this CD. I know every single solitary word of every song on it. It’s like a time machine that with only a couple notes can transport me back to a time when all my jackets had padded shoulders, I never took off my Wayfarers and the world was just a Wicked Game I couldn’t wait to play. If you want to know what cool sounds like, this is it.